Born out of a collaboration between ‘Yes Gnome’ and ‘CBS Interactive’, Star Trek Trexels II is a captivating trip down memory lane. The game garbs a retro arcade era graphics and owns the nostalgic look proudly by encompassing intuitive gameplay and character building. From your whole ship down to the rooms and officers, everything is upgradable. 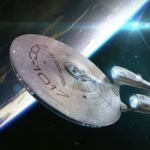 A strategy game at its heart, ‘Trexels II’ lets you play with your favorite characters from the Stark Trek franchise, including Picard, Spock, Janeway and Captain Kirk! The game mechanics and physics can be confusing for beginners though. The instructions are removed from the screen too fast you to be able to read them properly. There are no second chances to learn how the game works. You have learn by making mistakes if you missed the 2 seconds to read a paragraph of instructions on how rooms work, or how you can produce resources. Fret not, for you have come to the right place. We have all the information you need to be able to start building your ship exactly the way you want to without having to learn by way of trial and error. So let’s go ahead and check out our Star Trek Trexels II beginner’s guide below! Star Trek Trexels II starts with the crew of your ship enjoying a party and taking some time off to enjoy their break after a mission. When a wormhole appears out of nowhere and a Krill ship comes out of the wormhole, guns blazing. Your ship is attacked and having been caught off guard, you are forced to flee in one of two escape pods. You are asked to pick one of the escape pods and ironically, whichever one you chose is the one that ends up being sucked into the wormhole back with the Krill ship. After coming out from the other side of the wormhole, you realize that the Krill have been gathering the Starfleet ships from all over space across all time. There are people and ships here from different times and different places all over the galaxy. Quickly though, you are told about the critical condition of the ship and that you immediately need to bring the ship to a working condition. By building a “room” called ‘Hydroponics’ which is used to produce “command”. If you’re confused already, don’t worry. We will talk about rooms and resources (“command”) in a little bit. After that, you receive a message from the Starfleet to do what you can to recover your ship and help all the people stuck in this mess. That is where your adventure begins. So let’s give you a quick, but comprehensible, rundown of exactly how the game works. The game depends on three resources. 1. Command, 2. Research, 3. Power. There is a 4th resource called Dilithium which is used to purchase rare items or speed up things in game. All of the three main resources are used in different proportions to build different kind of “rooms” in your ship and performing different actions. Throughout the rest of this guide, you will see where different types of resources mentioned in different contexts so you should familiars with their names and purposes. There are limits to how much of a resource you can collect at one time. A different kind of resource is people. You get to build a team of crewmembers who have different characteristics and strengths. We will talk about “crew” in detail, later on. Rooms are what your ship is built off. Your ship will have a lot of empty slots to build different types of rooms in. Each room is purposed around only one of the resources. So, there’s a separate room dedicated to each resource for the same purpose. All of these rooms are upgradable to enhance their abilities. As you level up in the game, new rooms are unlocked which often serve the same purpose but do it better than the rooms you’ve had so far. Production rooms are the kind of rooms that produce the resources of the game, Command, Research and Power. Each resource has a different list of these rooms dedicated to it. As you level up, newer types of rooms are unlocked for each resource that are able to produce at a higher rate, essentially. Meanwhile you can upgrade the rooms you have now to make them produce faster. Some examples of these are “Hydroponics” for Command resource, “Subspace Scanners” for Research resource and “EPS Control” for Power resource. There are limitations to how much these rooms can produce in one go before they need extraction of produce. Don’t forget to assign a crew member to your production rooms or else the rooms will just sit there and produce nada. Storage rooms are the ones that help you increase the amount of resource that you can store at one time. These too, are meant for different resources so you have to build storage rooms for each resource separately. Some examples of these types of rooms include, “Antimater Pod” for Power resource, “Liquid Storage” for Command resource and “Medical Sciences” for Research. Leveling up in the game unlocks new storage rooms that are capable of storing more amount of resources. This is the type of rooms that help you increase the number of crewmembers you can use on the ship. Each Crew Quarters houses one crewmember. Training rooms are where you can train the abilities of your officers that you are going to take with you on missions. There are different rooms to train different “abilities” of your crewmates, which helps them in missions. You will learn about your crewmates and their abilities next. Your crew is a team of people you can use to build rooms in your ship or take with you on missions. There’s two main types of crewmembers. This is the type of crewmembers that you can use to build rooms inside your ship and produce resources by assigning them to production rooms. The number of builder crewmates you have is decided by the number of “Crew Quarters” rooms you have in your ship. This type of crewmates are the ones that you get to take with you on missions. There are 4 skills that they can use on missions. 1. Combat, 2. Diplomacy, 3. Engineering, 4. Science. Combat ability decides the damage a crewmember can deal with their attacks. Diplomacy decides if they can solve problems peacefully. Engineering helps them overcome technical objectives that require a certain know how of technology. Science lets them analyze an objective and figure out a solution before engineers can implement it. The more you develop each of these abilities of your officers the more options they are able to give you to solve a problem. Some objectives in missions require your officers to have a certain level of skill in one of these abilities. Therefore, it is important to develop these crewmates’ abilities. There are different stages of the main quest that you unlock as you progress the game. You start a mission by “sending a probe”, to one of the planets or asteroid belts depending on what stage you are at in the game. You can pick two crewmembers that you are going to take with you at the start of each mission. The mission is fighting enemies, connecting communication towers, or finding new explorer type crewmembers. There are different aspects to a mission. Let’s go through them. Each mission has a small terrain that you work with. It’s essentially made of boxes that each count as a step for your crew member. Taking a step from one box in the terrain to the next or interacting with an object or fighting an enemy each costs action points. The game enforces teamwork by allowing crewmembers to spend a limited number of action points in one go and then it’s the other crewmate’s turn. You can switch right back to the other crewmember if you want to. But it’s more useful to work as a team and keeping them together. You encounter hostile individuals on missions that you have to fight to the death to get through. Don’t worry, your crewmate doesn’t die. They are just unable to continue the mission. They gradually heal in the ship’s sickbay when resting. Combat in the game is a turn-by-turn attack between two parties. You can attack twice in one go before it’s your turn to take damage. Whichever party loses their health completely, loses the duel. This is where keeping your crewmates together comes to your rescue. After one of your crewmembers’ attack, you can immediately use the other one to attack before the hostile party takes their turn. The game gives turns to every participant. Therefore, if your crewmembers are together, they can get back to back turns not even giving the hostile party a chance to counter-attack. How much damage you deal in one attack is decided by your crewmate’s combat ability that we talked about earlier. Mission objectives can include defeating hostile aliens or connecting communication towers or finding new crewmates. The options to make friends or foes, complete and objective peacefully or with force depends on the acting crewmates abilities. Diplomacy, Science and Engineering abilities of crewmates decide what kind of options you’re going to have when interacting with an outside entity. You have your own fleet in the game, which can host up to five individual ships. You can switch between ships by marking a ship as your “flagship”. All of your rooms are transferred into the new ship or put into inventory if there isn’t enough space in the new ship. You can always access the rooms you’ve put in the inventory. You can add new ships to your fleet by purchasing them against resources or finding them through in game progress. You can assign explorers to your ships to enhance the ships abilities in PvP battles. Star Trek Trexels II has a PvP mode as well where fleets of players fight against each other. The combat mechanics are similar to those in missions. 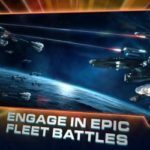 You take turns attacking your opponent’s ships and each move costs action points. How many moves your ship is allowed to make in one go is determined by the abilities of the crewmates assigned to the ships. Assigning crewmates to your ships also allows your ships to make special attacks that deal extra damage to your target. Now that you have learned in depth about how the game works, here are some tips and tricks we’ve collected for you to progress quickly in the game and strengthen your fleet early on to fend off attacks from opponents online. Use the knowledge from this guide to decide which rooms you want to build early on and don’t ignore anything. Build production rooms, storage rooms and training rooms as quickly as possible. Build quarters early and assign only one ‘builder’ crewmates to building new rooms. Assign three crewmembers to produce the three types of resources so you are able to take advantage of new abilities unlocked in the game without worrying about not having enough resources. Upgrade rooms early on. The production and storage rooms that are able to produce more in less time are unlocked a lot later in the game. Don’t wait for them. Focus on building your ships strengths. Pick two of your ‘explorers’ and start training them early on. You can train other officers later on but focus on just two at first. Because you can only take two crewmates on a mission. There’s no usage in having more than two crewmates trained because you’re rarely going to use more than two. Be careful not to leave everyone behind too far though. Train them when your favorites have gotten overpowered for the current stage of game. Let them catch up slowly. During missions and in PvP mode, keep your crewmates and ships together. Don’t use just one to explore the whole map because sometimes there are two enemies situated very close to each other and if you are caught in battle with only one crewmate while the other is trying to reach the battle in time, you will lose both of them. Because if you don’t gang up on them, they will surely gang up on you. During the day whenever you’ve got time to catch a breath, come back to the game for thirty seconds to extract the produce from the production rooms because remember, there’s a limit to how much they can build and store at a time before extraction is required. During missions there are resources laying around all over the place. It only takes a few seconds to get to them. They are really a bonus when you want to train an officer right after a mission or build a new room that this mission has unlocked. That’s it! Fire up your warp cores and get ready to go boldly where no one has gone before. 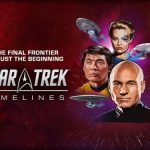 Hopefully, you’ll be able to use this Star Trek Trexels II beginner’s guide to progress in the game quickly without getting confused about how it all works and learning too late that you should’ve focused on something from the beginning. Invite your friends to play in PvP mode and have fun playing as your favorite characters from the movies. Right. But how do you get new explorers? I’m like level 10, and I still only have the same 5 I had at the beginning! New Officers are a very rare encounter on missions. I found Dr. Selar on the third or fourth mission I went on, but I haven’t found any since. Also, there’s officer packs in the store. Those are the only two ways I’ve found so far. How do you heal an explorer during a mission? its a task with rewards associated with it but I have yet to find a way. If you go to the Store every few levels you can get a free officer.